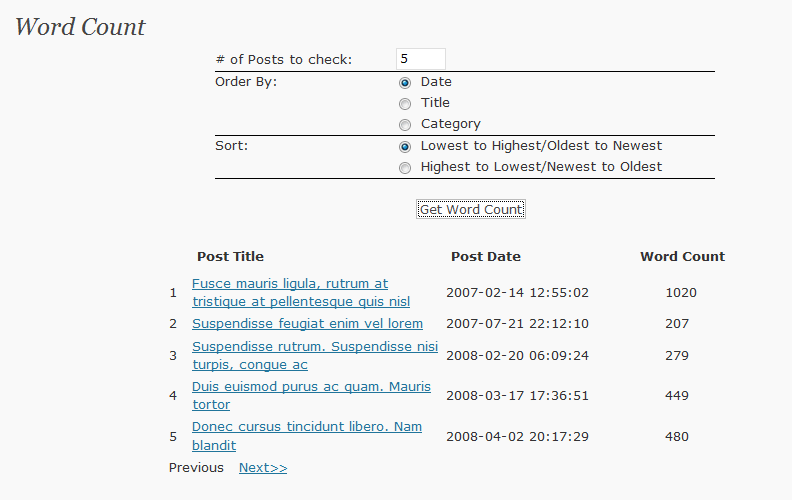 This handy little plugin will search through your posts and give you a word count for them. As any SEO guru will tell you content is king, this plugin helps you find those small posts and make them longer for better SEO food. Admin only so no slowdowns on your site. Easily get a word count for your posts, find those small posts and beef them up. We have see some posts show up with low word counts, this was traced to improper closing of HTML tags so if that happens to you check to make sure you have quotes in the proper places.